We offer a wide range of Anaesthesia Products which is customized as per the specifications of our clients. Our Anaesthesia Products is available in market leading prices. 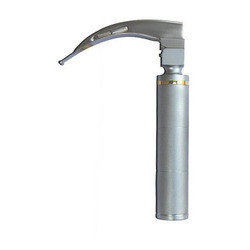 With an immense experience in this industry, we are specialized in offering the best quality Laryngoscope Set. Brain Circuit is an important product, which comes under Anesthesia & Ventilator Circuits. 22 mm/23 mm male/female circuit adaptor, safety cap. All in a carrying bag. Rendell baker soucek face masks sizes 1 & 2.15mm/22mm/angle mount, 15mm "T", 15cm X 11mm corrugated rubber hose, with 15mm male/female hose mount pair, 0.5 lt. 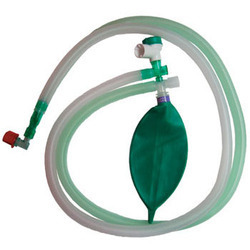 Breathing bag with bleed valve, 1.5mtrs PVC Tubing for fresh gas supply, 23mm/23mm female/ female circuit adaptor, 23mm male plug-in adaptor, safety cap. We avail our clients FA Valve Humidifier Bottle. 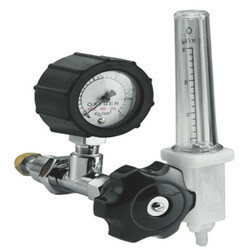 The flow meter unite without control is fitted with jacketed type shatterproof tubes calibrated from 0-15 ltr/min.